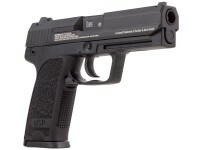 The Umarex H&K USP Blowback CO2 Pistol is an officially licensed replica of the H&K pistol, famed for its straightforward design and use among law enforcement or military. As the name suggests, this H&K USP features a full, responsive blowback of its metal slide each time a shot is fired. 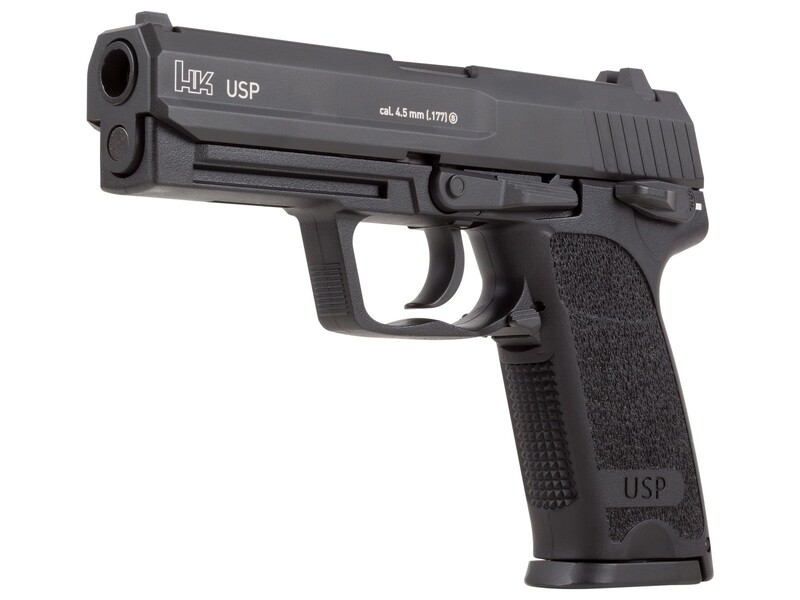 With Umarex's fine attention to details, the USP uses a trigger that can fire in single or double-action to keep your shooting sessions as realistic as possible. To get started, load up the 16rd BB magazine, drop in a single 12-gram CO2 cartridge and commence slinging lead at 325 fps downrange. 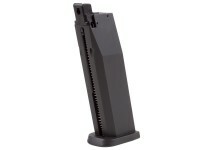 Each includes fixed white-dot sights and an accessory rail for helping you put shots on target fast. If you're in the market for an affordable CO2 blowback pistol built for dropping cans and peppering paper targets, choose H&K USP and see what your shooting sessions have been missing. 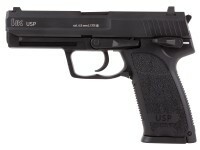 Things I liked: This pistol is pretty close to the actual HK USP45 firearm as far as appearance and weight. The grip is a tiny bit smaller...maybe about a 1/16 inch narrower and an 1/8 inch not as deep. The grip is still pretty big. The blow-back is pretty good. The intensity of the blow-back and hence the reliability of the pistol cycling completely becomes less intense as the cartridge pressure drops. 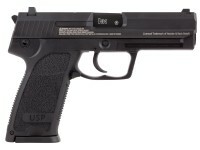 This seems more significant with this pistol than with some other blow-back pistols I have. You can get approximately 40-50 good cycles out of a single cartridge and maybe 10 or so more, but you may need to manually help the slide get back into battery. The best thing about this pistol is the you are able to take the pistol down (i.e. field strip it) just like the actual firearm. The DA/SA trigger works convincingly, as does the decocker/safety and ambi- magazine release. Accuracy is good...it groups consistently at about 1.5 inches at 15 feet and a little low and to the left, which may be me. Things I would have changed: Not much I would change that wouldn't drive the cost up. I hate the clam shell packaging. What others should know: Since this is a blow-back pistol, you have to take this into account and practice with it to get consistent, accurate shots. Things I liked: First of all I didn't use this item.. i don't know yet but just from looking at it out of the package I think it's a well put together item.. it's nice.. definitely an original I actually like it.. it's just too cold to test it out.. I see that in these stock photos, it does not show the warning message on the right side of the pistol, but in a video review I saw (five days old and done in North America) it did have the lettering. Is it safe to assume it does come with the unfortunate warning message? Now that PA is selling this gun, is the slide spoiled with WARNING text?